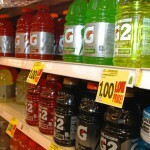 I got this tip from Snack Girl. I love it because I haven’t quite mastered stove-top rice. But sticking a pan of brown rice in the oven? I can handle that. Get the full how-to here. 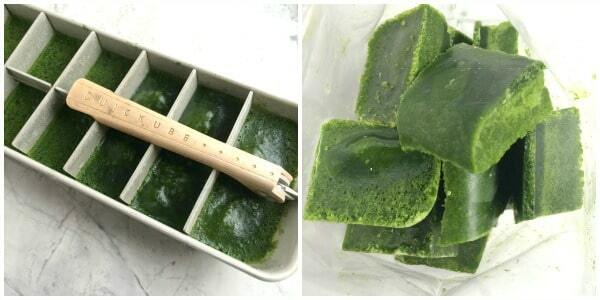 Puree a few handfuls of spinach or kale in your blender with a splash of water, pour into ice cube trays, then pop out and put into freezer bags. When you’re making a green smoothie, just take one out and toss it in the blender. This is especially useful for greens that are a bit past their prime. 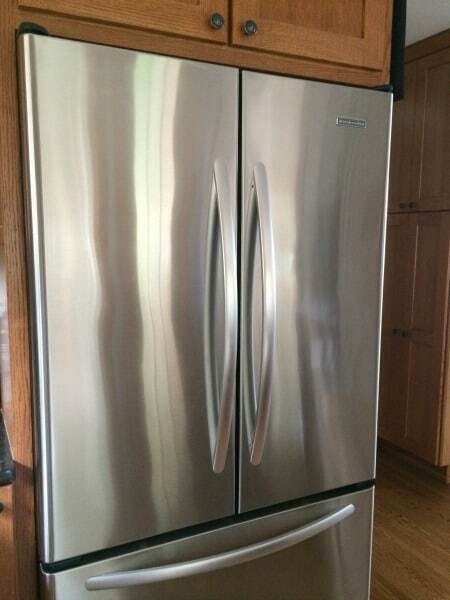 I’ve tried all kinds of things to clean the exterior of my stainless steel refrigerator–pastes, sprays, expensive cloths–but nothing totally got rid of the streaks and fingerprints. Then I read about using olive oil on Natural Mommie. 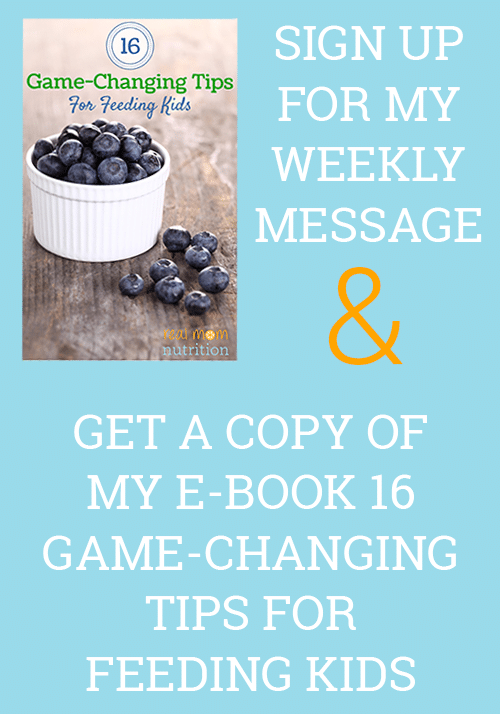 I tried it–and IT WORKS! Wipe down the doors with a damp cloth first to remove any dirt. Then put a small amount of olive oil on a dry, soft cloth and rub along the grain (rumor has it that you can also use baby oil, but I don’t generally have a bottle of that in my kitchen!). This photo was taken the first time I tried it, and my 6-year-old refrigerator hadn’t looked that good since the day it was delivered. This one obviously comes straight from Rachael Ray. It’s genius! 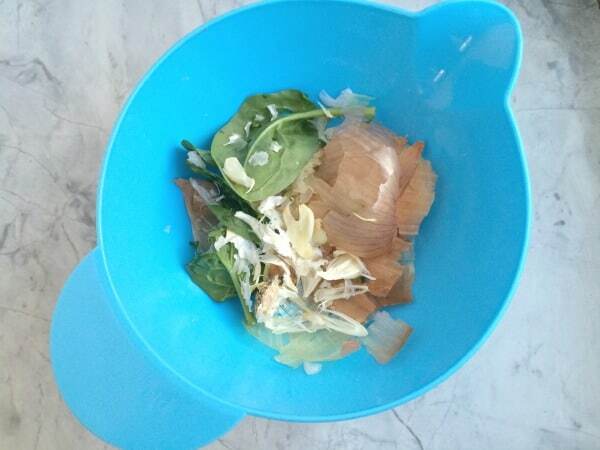 Keep a small bowl on your counter and toss in all the scraps–the vegetable peels, onion skins, wilted greens. Then throw it all in the garbage (or compost) at once when it’s time for clean-up. I saw this tip in a weelicious video a couple years ago and have been using it ever since. 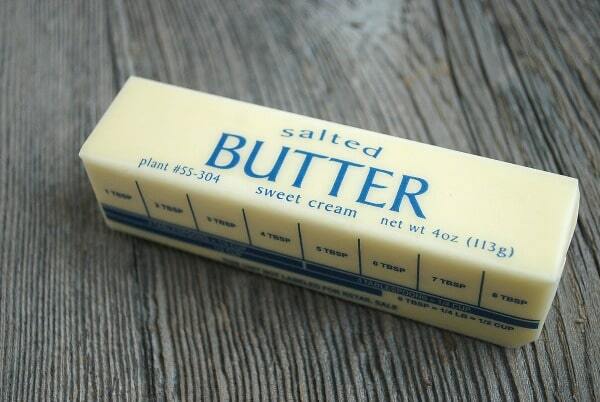 If you have a recipe that calls for softened butter and you’re pressed for time, put the stick in your pants pocket for several minutes while you’re prepping other things. By the time you need it, your body heat will have warmed it up. When we have leftover juice from home-canned fruit or store-bought canned fruit, I pour it into my freezer pop molds. My boys love it. 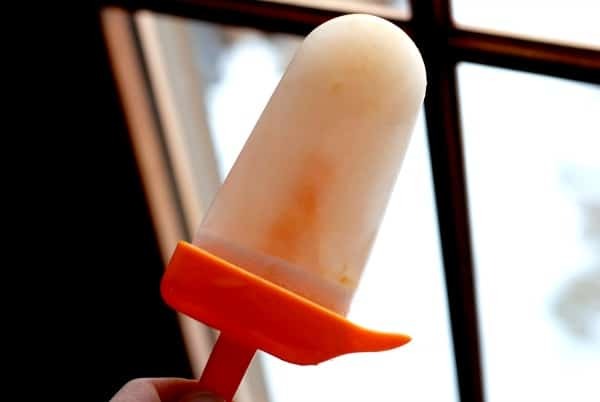 When my first grader was sick recently, these mandarin orange juice ice pops were the only thing he wanted. I do the same with leftover morning smoothies. Making a roast chicken but don’t have kitchen twine to tie the legs? 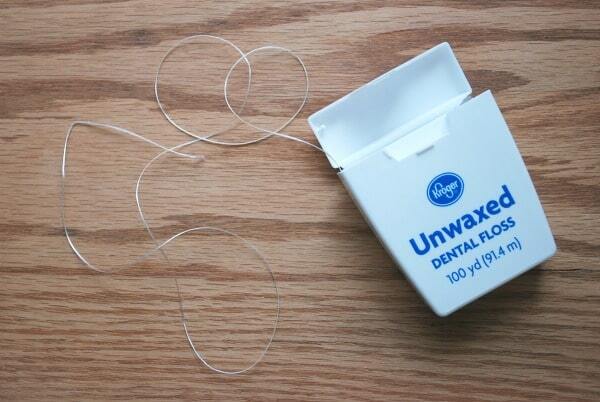 Use unwaxed, unflavored dental floss instead. 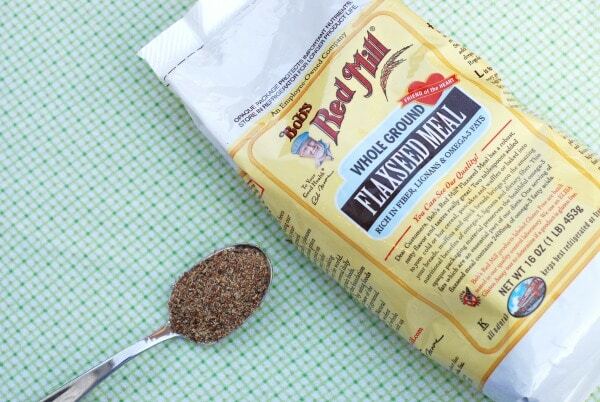 In my last kitchen trick post, I shared how to sub ground flaxseed for egg (see how here). But my sister-in-law taught me this trick years ago: You can swap ground flaxseed for some of the oil or butter in recipes too. 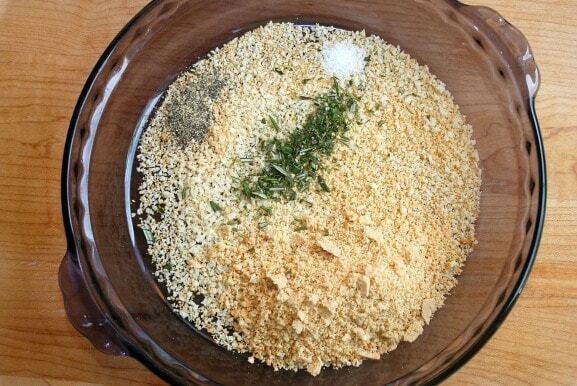 Here’s the conversion: 3 tablespoons ground flaxseed for every 1 tablespoon oil or butter. I do this frequently for quick breads, muffins, pancakes, and waffles. A pie plate is the perfect size and shape for mixing up some breading, then dredging your meat and poultry in it. It’s big enough to accommodate chicken breasts or pork chops, but unlike a regular plate, it keeps everything contained inside so there are fewer scattered crumbs. Fruit flies descend upon our house sometime in late spring-early summer, and they drive me bonkers. 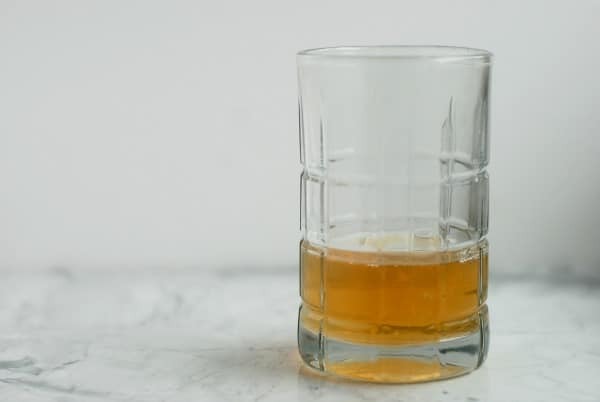 I used to fill a small glass with an inch of cider vinegar, cover it with plastic wrap, then poke small holes in the top–so the flies crawl in (attracted by the smell of the vinegar) but can’t find their way out. Then last year, some folks on my Real Mom Nutrition Facebook page suggested I uncover the glass and add a drop or two of dishwashing liquid such as Palmolive (to break the surface tension and make the flies sink faster), and I think it works even better! 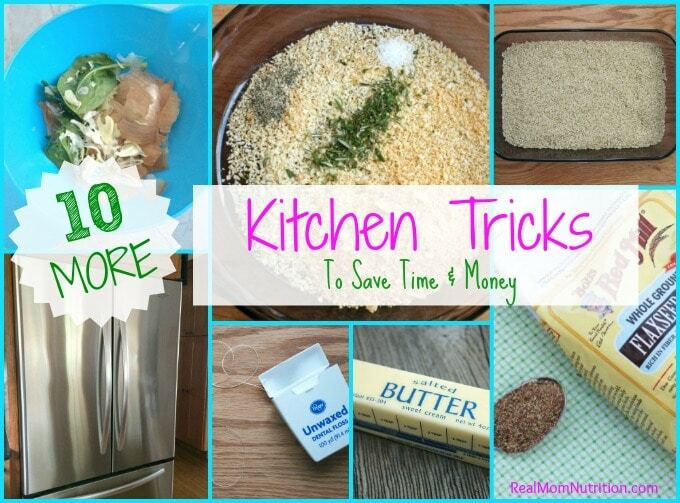 Do you have any terrific kitchen tricks to share? 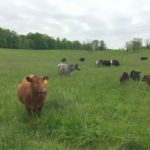 So glad we found your site! 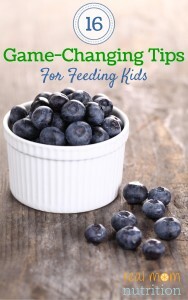 This is exactly the kind of information we like to share with other moms on our blog. 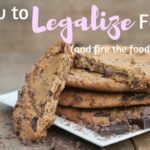 These are awesome tips. I especially love the tip about cleaning the stainless steel with olive oil! 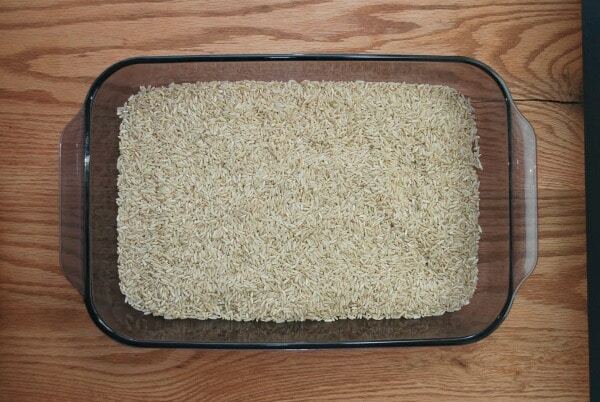 I am so trying the brown rice in the oven. That is one healthier change we have made, that I can not seem to master. Its either crunchy or mush.. Thanks for all the great tips!